“Crystal Clear” –is the perfect thing to say when it comes to the future of cryptocurrencies. With the rise of crypto especially BTC as becoming a legitimate means of payment, it is not a surprise that people are starting to wonder what happens when tax becomes involved? You may not see it but the main reason why some people are using crypto as payments is to steer away from tax responsibilities. But government agencies like the IRS are now walking together with crypto and making sure that people do pay taxes; even when it comes to crypto transactions. Wait, what? Yes, you read that right. Government agencies from around the world are targeting the taxation of crypto transactions that people thought would be a huge stretch before. With the integration of the currency into our modern day lives, it was something that was bound to that direction one way or another. One misconception of crypto transactions is that we only need to pay tax when Fiat is brought into the equation. But the reality is that every transaction that is made (when making a profit) between crypto to crypto and crypto to fiat can be taxed. This is true especially with the coins like BTC where everything is public and can be accessed by anyone. The tax issue hasn’t scratched the surface of Monero and Zcash yet due to their untraceable nature but that’s not why we’re here today. For blockchains designed the same way as Bitcoin, people will have public access to transaction records as long as they know where to look at. An account-holding BTC can be owned anonymously and be masked by a wallet address. But once that wallet address is connected to your name, you can be easily pointed out which can easily lead to tax issues. Funny thing is, a few years ago, no one accepted cryptocurrency as a currency, why tax it now? With that being said, it is better to be safe than sorry. That is why when it comes to Bitcoin taxes, online services such as Bitcoin.tax comes into play. The website helps crypto owners to easily calculate their tax responsibilities from profits made through mining and trading. Today, we will be looking into the website and get to know them better. Without further delay, let’s talk about that! First, we need to create an account with them. 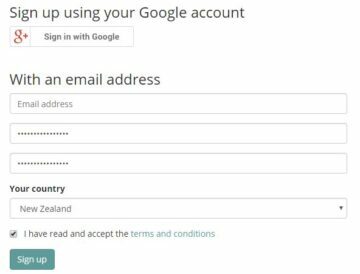 To create an account, head on to their website and click the sign-up button located on the upper left-hand side corner of the website; or just click here to create an account. Creating an account is really fast and there is even no need to confirm anything on the provided email address. The created account will be a regular account containing limited services compared to their upgraded accounts. Individual plans cost $29.95 per tax year and the High Volume Plans will cost $99.00 per (tax) year. Furthermore, each of these plans has sub-plans that people can choose from depending on the number of transactions they will be done within one tax year. The most expensive plan is under High Volume Plans (Trader 100k) with up to 100,000 transactions for $149 per tax year. Unlimited plans can be obtained by contacting the website directly and requesting your account to be un-tethered. When it comes to crypto tax websites, it is really important to know if that website supports the exchange/trading website that you are doing business with. Below is the list of websites that Bitcoin.tax supports. 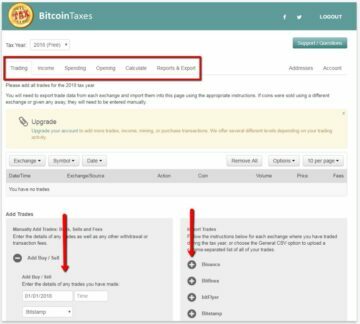 The mentioned supported websites above will be able to import their CSV/API file directly to Bitcoin.tax. 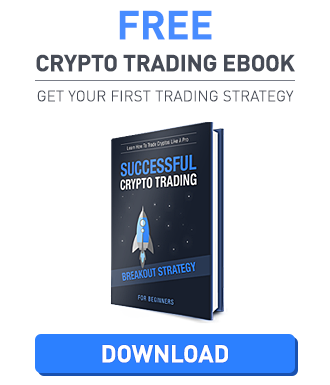 The website strongly suggests that CSV imports should be done by copying the trade data from your exchange/trading into a spreadsheet before converting to their standard format. The website will be able to generate different tax reports depending on the ones you need. The service platform contains six major tabs that users will be able to look into once they have created an account with them. These tabs are Trading, Income, Spending, Opening, Calculate, and Reports & Export respectively. How does everything work? It’s really very simple and with the added unique instructions per website that you will be getting data from makes it a whole lot easier! After importing the details from the offered websites, users will then be able to add spending or donations that were made from their digital wallets. In addition, the website also gives the user the ability to add their mined coins and total crypto base income for a far tax assessment. After all of the required data is provided, customers will be able to get comparisons of different methodologies including FIFO&LIFO, average costing, transaction costs, proceeds and gains detailed reports. The user will also get income reports including calculated mined crypto values. As you might have noticed by now, the website supports a good range of popular online exchange websites which makes compatibility not a problem. The integration is also one of their best features due to the easy calculation of taxes by monitoring provided addresses. One of the assets that this website boasts is their ability to accept almost nearly all major Fiat currencies including USD, EUR, JPY, GBP, KRW, CAD, AUD, SEK, BRL, NOK, SGD, CNY, CHF, HKD, ILS, and RUB. The website also provides 2FA and added security code for double the protection. Odd as it may sound, the website does not mention any countries that they do not support but have specific accepted Fiat currencies. Customer Support is an integral part of any website that handles customers’ sensitive information and or finances. Bitcoin.tax has a specific FAQ section that will work great for regular issues; if you did not get the answer you want then you can contact them through a ticketing system (Zendesk) and have someone contact you through email. It would have been better to have a phone number since almost every issue can be solved immediately when a company has a phone number to call. 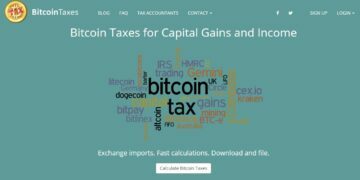 Bitcoin.tax is a website that offers a good crypto taxation service that provides everything that you need with integrated features that makes everything easier to comprehend. What’s even more amazing is that the creation of an account doesn’t take that much time! They do offer premium memberships for a reasonable price with more features compared to a free account. When it comes to uploading API files, the website makes it easier due to their specific website guides that have step by step instructions on how to get to their API’s and transfer it to Bitcoin.tax. Overall, the website is something that you guys should look into and see their available services that you might want to use in the future.